Limited data exchange and the lack of neutrality delays ‘good innovation’. It is already widely known that the lack of good third-party data and the limitations on information exchange in China lead to bigger transparency issues than are found in other markets. But one major, and less-spoken-of, difference is how business relationships contribute to the unique nature of programmatic buying in the market. Greg Paull, principal and founder of R3, whose consultancy produced a report on the local programmatic landscape in partnership with RTBAsia, agrees that China as yet “doesn’t fully embrace the purely automated model”. Instead, greater emphasis is placed on maintaining a relationship with premium publishers. Such deals take on a mixed approach. The deal terms, price and volume are specified offline, then an online system conducts “automated” programmatic buying. With such an approach in China, “inventory neutrality” is not an issue for advertisers as they have been slow to change their mindset from “content buying” to “audience buying”, says Paull. For big brands such as Nestlé, industry sources say, about 70 per cent of ad spend goes on private marketplace (PMP), which is the top of the programmatic pyramid, and only 30 per cent on real-time bidding (RTB). 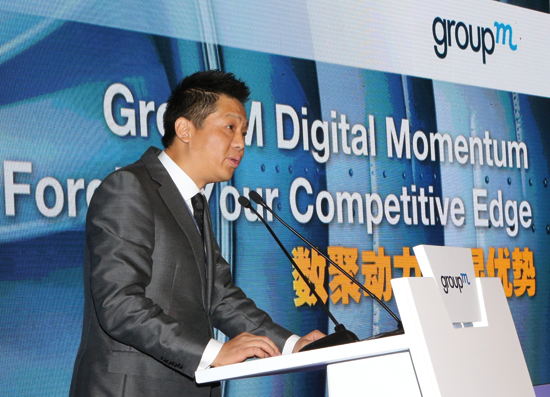 “There is a factor of relationship-based buying which makes buying decisions not entirely based on effectiveness or efficiency,” says Prince Zhang, MD of digital at IPG Mediabrands China. Many advertisers are accustomed to the cost-per-day (CPD) system that allows them to clearly see where an ad is placed — a cultural factor in real-time auctions being unpopular because “the Chinese don’t like to bid; they like things on a guaranteed basis,” points out Mickey Zhang, managing director for Xaxis China. Due to this, DSPs operate their own ad networks — which traditionally buy inventory from several publishers, bundle it and resell it at a higher cost — and mix these inventories for higher profit. RTBAsia coined the term ‘DSPAN’ to describe this inimitable hybrid of DSP and ad networks, while Arora of Havas says DSPANs are “a consequence of ad networks repositioning themselves in the market but not changing their technology”. The issue with this model lies in the fact that once a DSP purchases inventory from a publisher and mixes it with exchange inventory, it is no longer neutral, says Andy Fan, RTBAsia’s co-founder and CEO. In the programmatic premium tier of buying, a DSP also gains access to an advertiser’s first-party data and could use this data in competitor campaigns that go through that same DSP’s open exchange. “This is probably happening with alarming frequency, largely because of another challenge unique to China, a nearly complete lack of third-party DMPs [data management platforms], ” explains Fan. Because there are no third-party DMPs to consult, an advertiser can only gain access to the vast amount of consumer data that BAT (Baidu, Alibaba and Tencent) has amassed (arguably more comprehensive than in the West) if they buy within the publishers’ own closed-loop ecosystems. “While these publishers might have fantastic data, because they don’t share it, it hasn’t translated to the industry at large,” says Paull of R3. The unexpected outcome: advertisers need to rely primarily on second-party data to conduct audience targeting given that DMPs are still scarce, says Sammy Hsieh, co-founder and CEO of iClick Interactive (one such DSPAN in China). “In the short term, BAT won’t open up data,” predicts Roy Zhou, CEO of Yoyi Media. So what Yoyi has done is to look for third-party data sources and also set up private DMPs on behalf of clients to get away from the CPD basis. Audi was one such client and even so, the solution was accelerated by relationships for Audi to be willing to give detailed CRM data to Yoyi, technically still a third-party DSP. “For the A6, we were successful in matching Audi’s 8 million offline identities with online data points to give more than half an ‘Audi ID’ each with this DMP,” says Zhou. There have been some significant partnerships recently, such as VivaKi with Tencent; GroupM with Youku Tudou, iQiyi, Sina Weibo, UnionPay Smart, Xiaomi and Tencent. But Alibaba’s acquisition of AdChina is “bad for the entire programmatic market”, says Charlie Wang, COO of ReachMax, a Chinese programmatic buying platform designed specifically for Nestlé by Mindshare China. The role of the optimiser to get around such data monopolies has been traditionally held by agency trading desks operating at the holding company levels. However, the recent trend in China has been to move away from these desks — such as WPP’s Xaxis, Dentsu Aegis’ Amnet and Omnicom’s Accuen —— towards working directly with publishers for greater control. L’Oréal was one of the first advertisers to try out Tencent’s proprietary DMP, using Tencent data to filter target audiences. Trading desks, though, have operated in a largely opaque manner since their inception, added RTBAsia’s Fan. Many marketers are unclear as to the actual cost of the media they are buying, because trading desks in China often mark up costs or add management fees. Industry sources that Campaign Asia-Pacific spoke to, off the record, have on more than one occasion questioned the value-for-money of markups charged by trading desks of up to 40 per cent. From the viewpoint of agencies, their only differentiation is the type of inventory they can secure with publishers — such as pre-roll OTV ads on Youku which can’t be skipped like on YouTube (making these even more premium). While ad fraud is a problem in all markets, it is particularly serious in China. RTBAsia estimates that between 15 per cent and 20 per cent of China’s 10 billion daily impressions traded in ad exchanges are non-human. One problem lies in the overlooked fact that many Chinese PCs (in the range of 2 to 3 million, according to RTBAsia) are still running old versions of Windows infected with malware and enabling bots to run in the background. A considerable number of internet users also install crowd-sourcing software to generate fake traffic statistics of their own websites. This sparks a new development of Chinese advertisers investing more time, money and effort in ad verification as China shifts towards pre-emptive solutions, says Ker Loon Ang, China country manager of Sizmek in an OMD whitepaper. Technically, local ad verification vendors are catching up, while international players will need to tackle the language barrier, acceptance by ad exchanges and provision of local support service. To verify what kind of online leads ad networks are producing and to check the sort of conversion rates of programmatic buying versus non-programmatic, Arora suggests a solution: the trusted offline call centre. This may dislodge the entrenched system of buying and selling in China that is “actively fighting displacement by programmatic technology than is seen elsewhere”, says Luke Stillman, associate director of forecasting at Magna Global. “For this reason, we expect that by 2019 China will only be about as programmatically developed as some European markets are today.” Overseas marketers already spend 30 to 50 per cent of budgets on programmatic, while in China it’s still 15 per cent on average. “It will take some ‘good innovation’ to break China out of the programmatic growth trajectory on which it’s currently travelling,” he says.